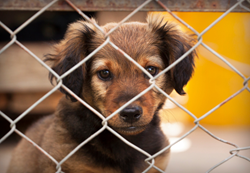 Jay Marino, founder and principal agent of the Jay Marino Insurance Agency in Woodridge, is announcing a charity drive in DuPage County to help provide homes to abused and neglected pets. All proceeds from the event will be gifted to the West Suburban chapter of the Humane Society. “As an animal lover myself, I truly hope our community comes together so we can help these loyal companions find new forever homes with loving families,” said Marino. Efforts to involve the local community in the charity drive will include an invitation program to guide the donation process. Marino has pledged to make a $10 donation directly to the Humane Society for every person who refers in a friend or loved one to receive a complimentary insurance appraisal. For additional information on how to help support the campaign, or to suggest a new charity for the Marino team to help out, the following page is available: http://jaymarino.com/rewards/. As a Personal Insurance Representative in Woodridge, agency owner Jay Marino knows many local families. His knowledge and understanding of the people in his community ensures that clients of the Jay Marino Insurance Agency are provided with an outstanding level of service. Jay and his team look forward to helping families protect the things that are most important – family, home, car and more. Jay Marino Insurance also offers clients a preparation strategy for achieving their financial goals. To contact an expert at the Jay Marino Insurance Agency, visit http://jaymarino.com/ or call (630) 427-1700.